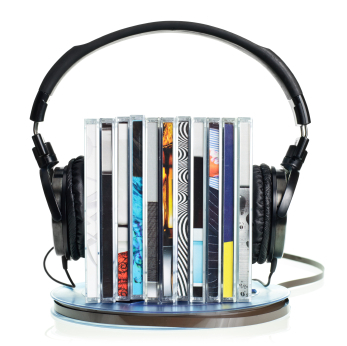 Is the Music CD dead? Most of us are aware of the basic economic model of supply and demand. It would appear that when a popular product comes out it is the bellowing of the masses that makes a shop supply it. Likewise if the price is too high, it is the resistant consumer’s unwilling to pay that indeed drives the prices down in store in order to get the sales. It would appear that sometimes this message takes a long time to be heard or acted on. Recently the boss of HMV, the UK’s largest entertainment retailer, stated that by 2016 they will stop stocking CD’s all together. It is not uncommon for many people nowadays to no longer buy music as a physical media, preferring downloads (whether legal or illegal) or other means of listening. So it would seem a legitimate question for music fans whether the Compact Disc (CD) is indeed on it’s way out? If we look at the in industry in general, with the advent of on-demand services and available downloads, it’s evident that DVD’s still retain their value with customers and are continuing to go strong. Generally priced between £10-£15 for a new release, it’s possible that CD’s just do not offer enough to justify their cost. The price of CD’s doesn’t decline as quickly as that of DVD’s despite the special features and extra content available on a DVD. All this said it this does not mean the end of industry or even necessarily the physical medium. CD’s can still be the best way for a band to sell their music direct to fans at shows and gigs. And there are many hug fans out there which are willing or even prefer to buy a physical copy of the music they like. You just have to observe the renaissance in popularity of vinyl records for evidence of the affection towards the physical medium of music. Posted in Uncategorized | Comments Off on Is the Music CD dead? You are currently browsing the Duplication Centre Resource Centre blog archives for May, 2012. Duplication Centre Resource Centre is proudly powered by WordPress | Entries (RSS) | Comments (RSS) | 17 queries. 0.032 seconds.